Directions: To Lower Falls TH: From Evergreen, head south on 73 and make a right (west) on S. Brook Forest Road. 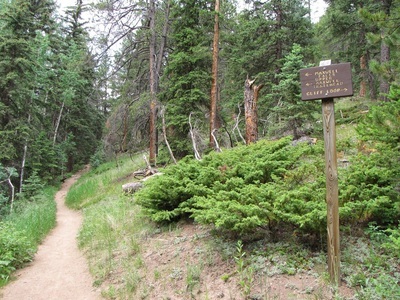 Follow S. Brook Forest Road for 3.6 mi and look to the left for the TH and Parking Area, it is difficult to see from this direction so keep your eyes peeled. 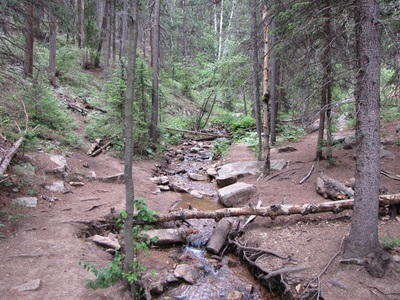 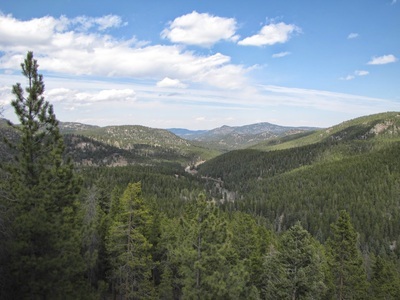 To Upper Falls Trailhead: Follow S. Brook Forest past the Lower TH until the road becomes Black Mountain Drive. 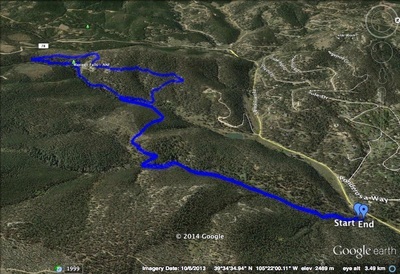 Continue on Black Mountain Drive until you see the Upper TH on the left. 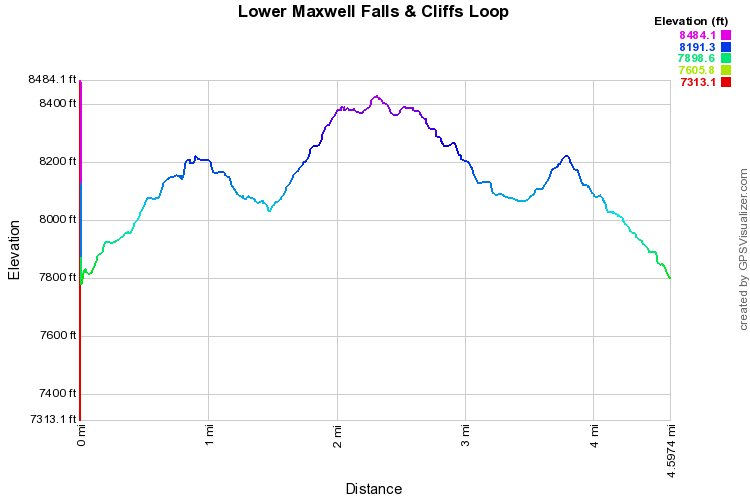 The Maxwell Falls Area is a fantastic spot for some good relaxing yet heart beat raising hiking. 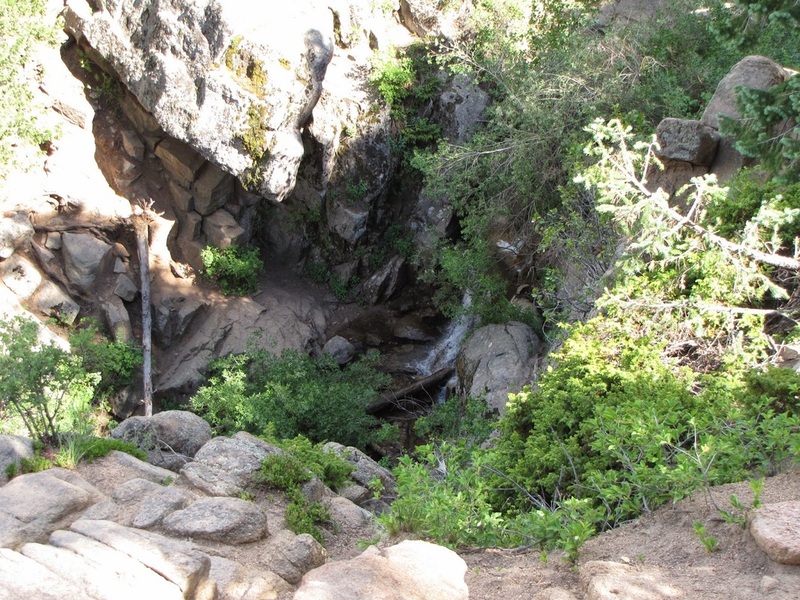 The hike can be a moderately difficult 1,100 ft climb over 4.61 miles or as easy as a 300ft descent down to the falls and back over .5 mile. 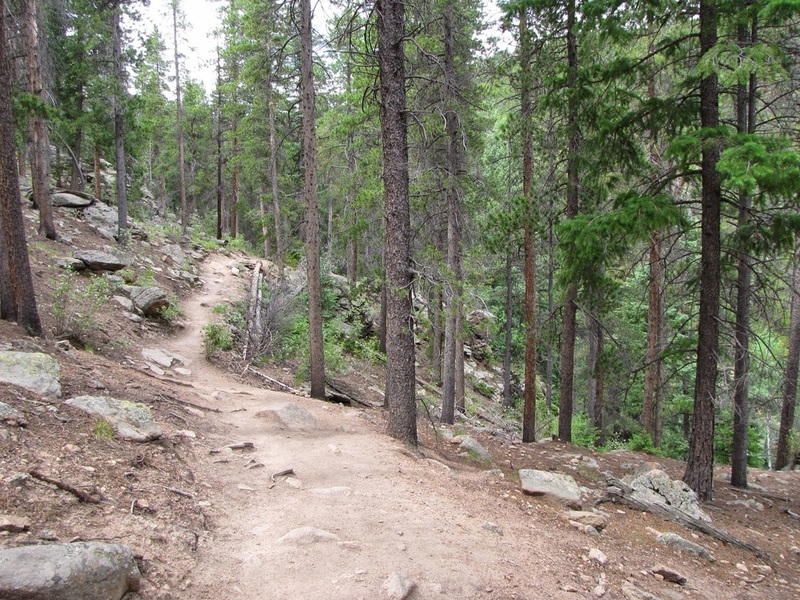 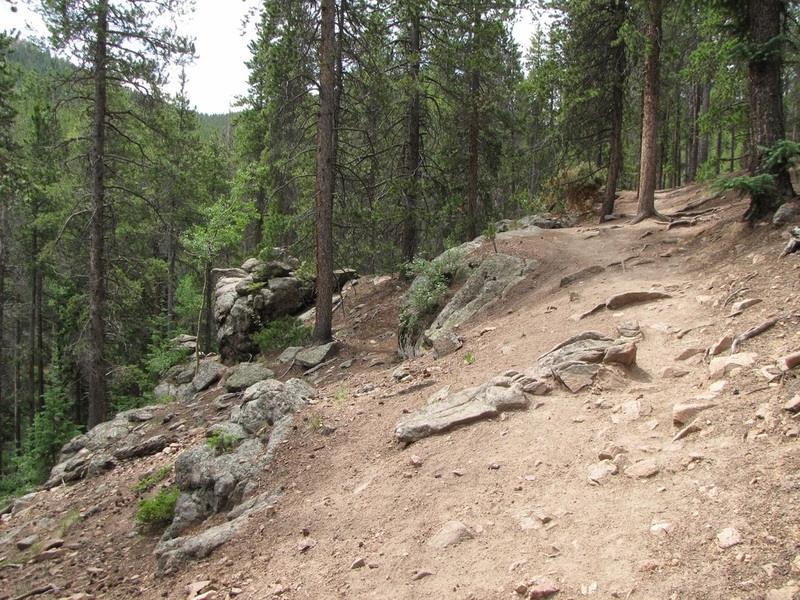 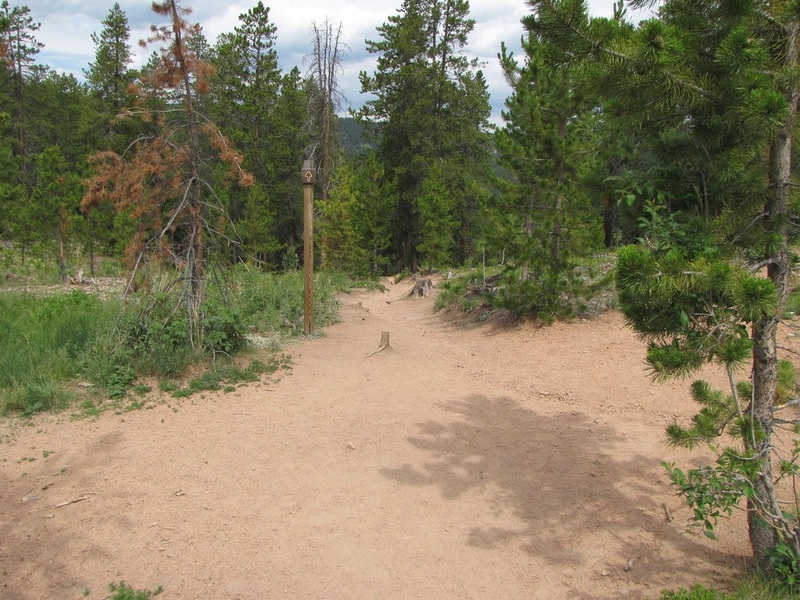 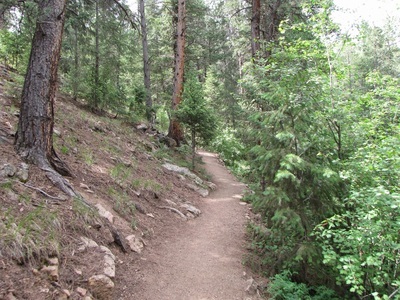 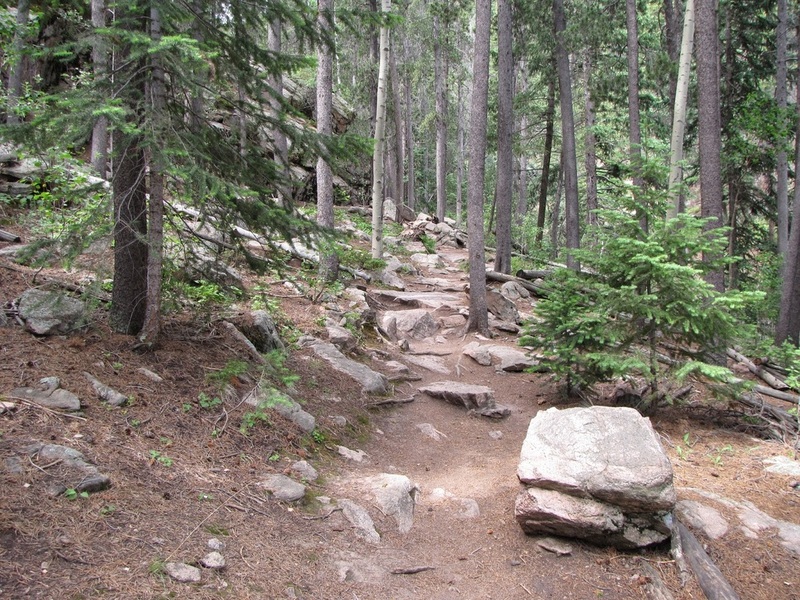 There are 3 components to this area: 1) the Lower Trail; 2) the Upper Trail; and 3) the Cliffs Loop. I strongly suggest starting at the Lower Trailhead and climbing all the way up to the top of the Cliffs Loop, then down to the falls and back to the trailhead, this route gives you all the highlights and a great workout. 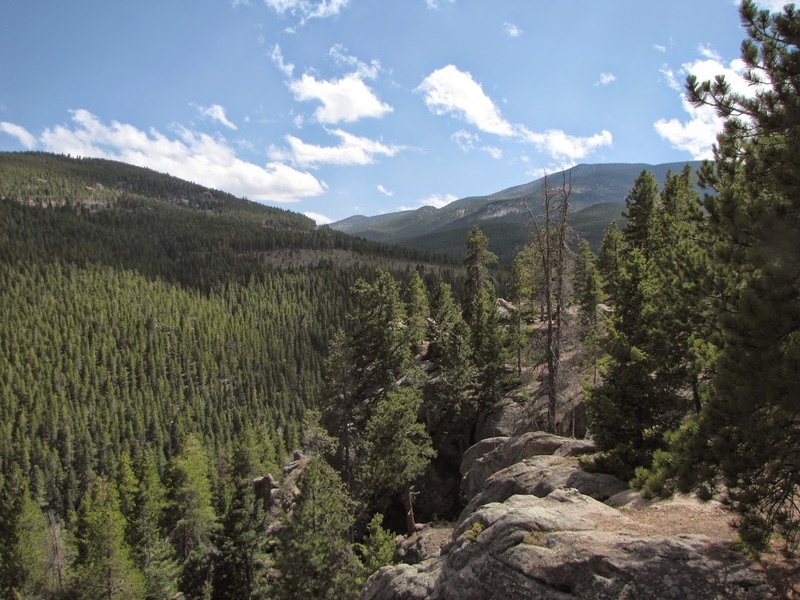 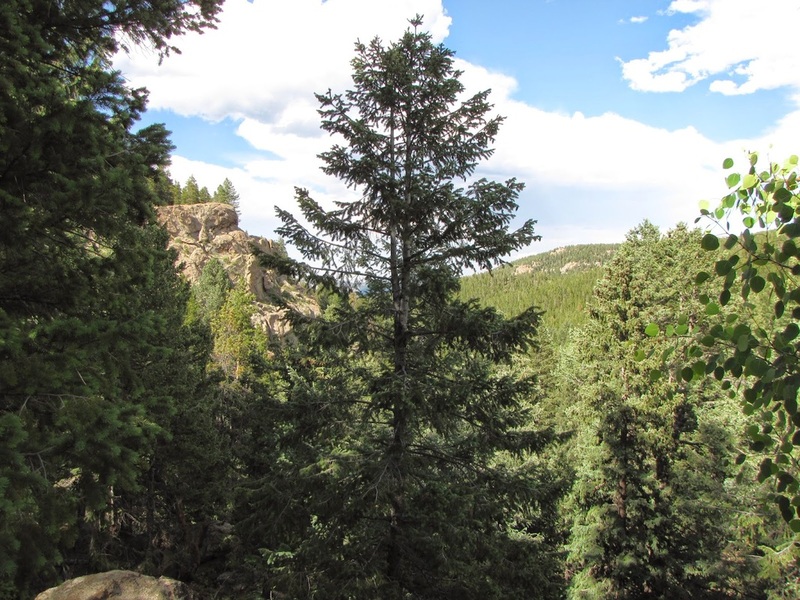 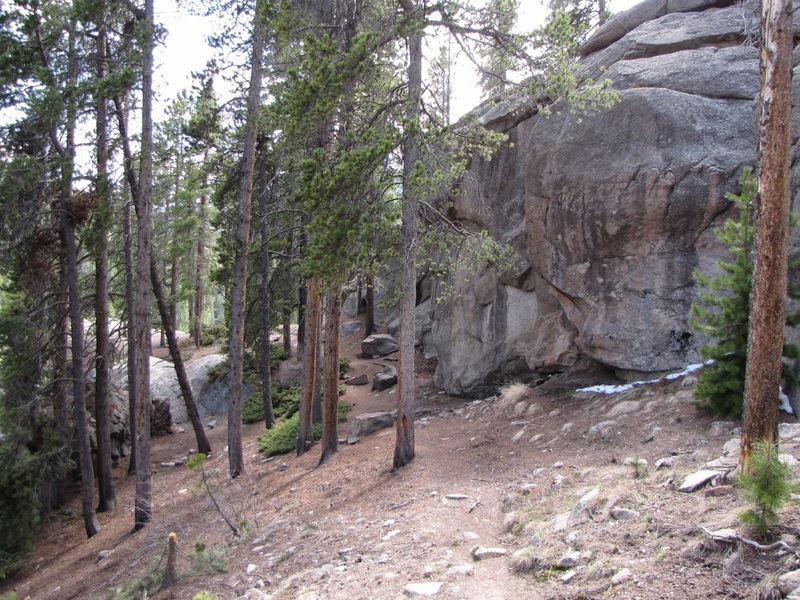 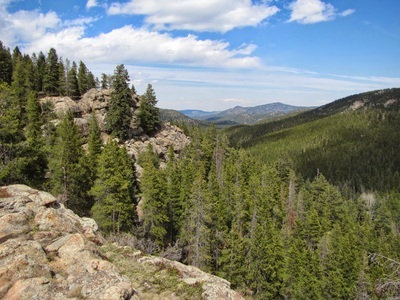 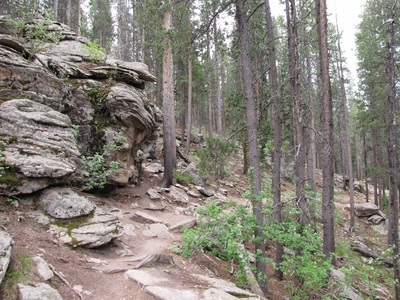 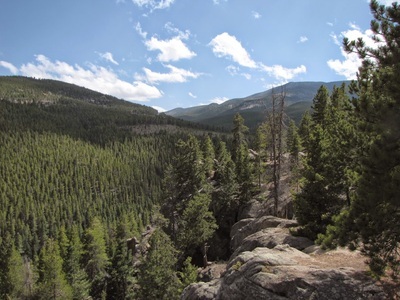 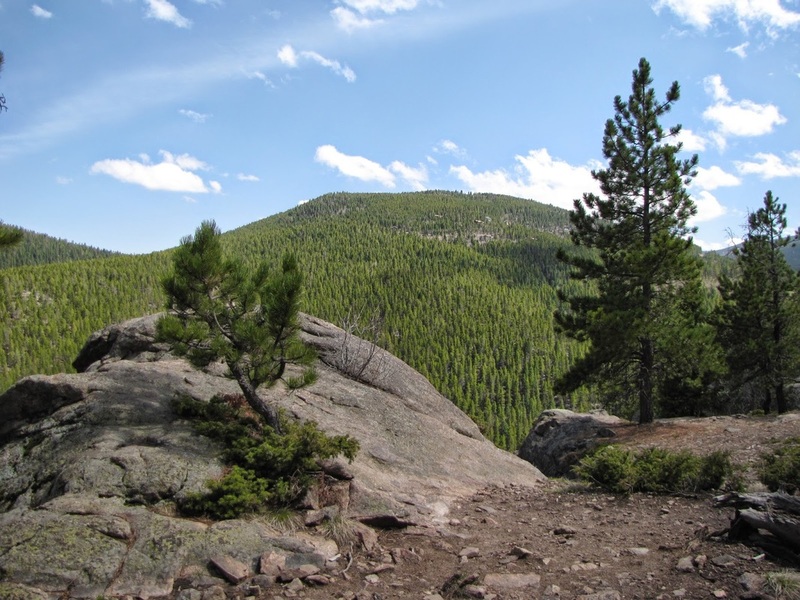 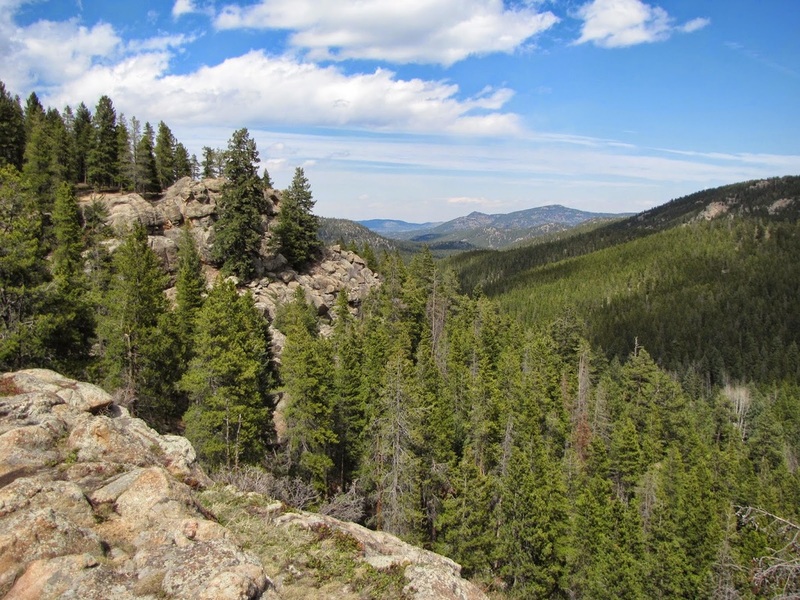 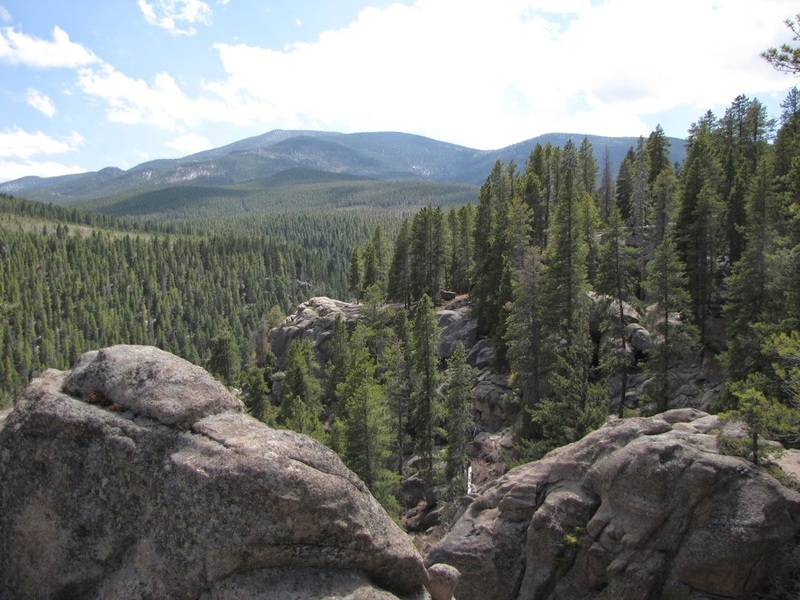 From the Lower Falls Trailhead, you climb on a good steady trail through pine forest and past boulders along a babbling brook. 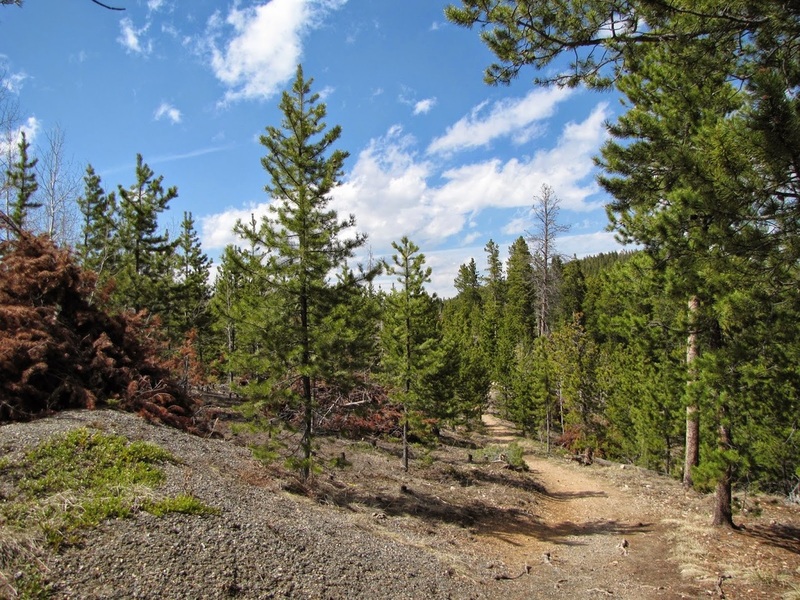 When you reach the ridgeline, the trees will shrink down and you'll reach a 4 way intersection...stay straight heading down the hillside. 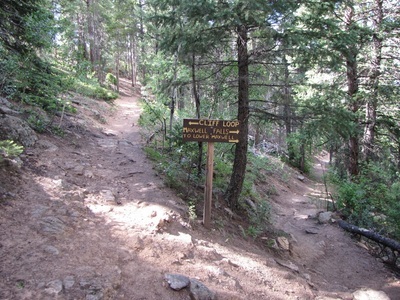 You'll descend down to a creek crossing before you start climbing again to the intersection of the Falls trail and the Cliffs Loop. If there is no sign, then just bear right at the intersection. 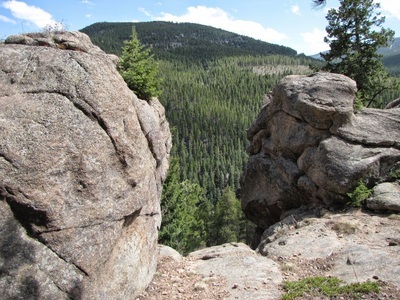 Once on the cliffs loop, you'll continue to climb through pine forest and granite boulders until you reach the first cliff. 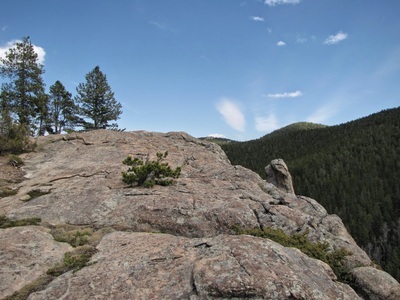 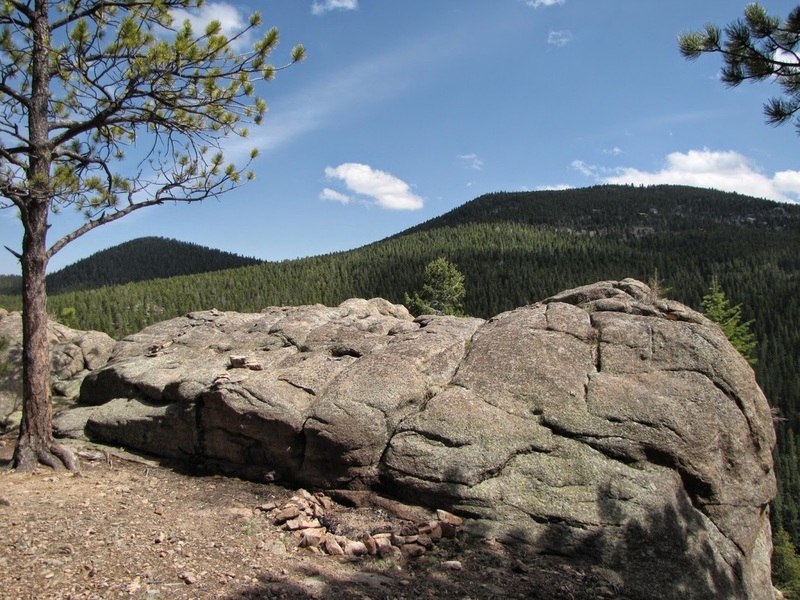 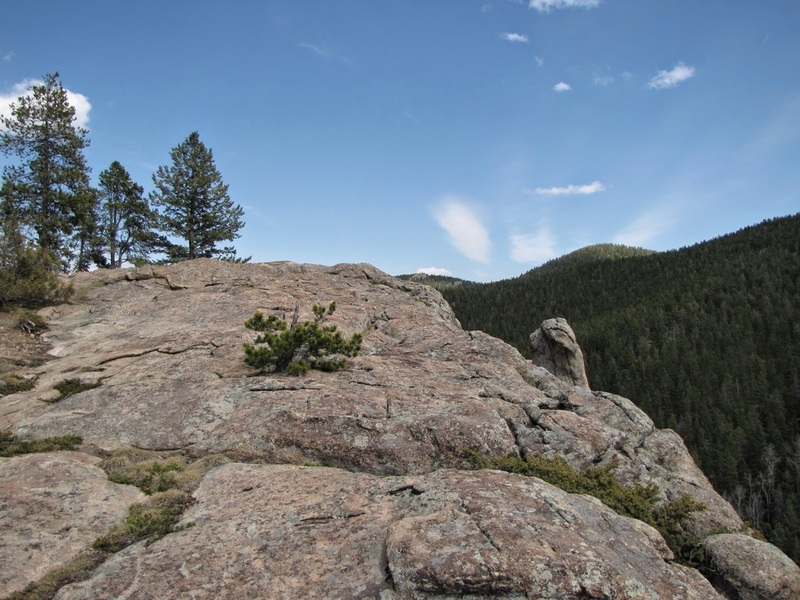 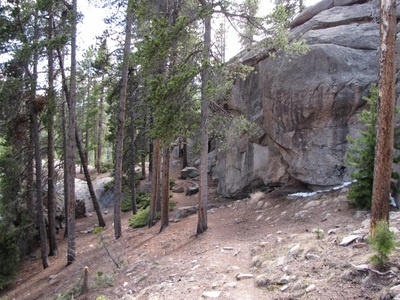 The cliffs area consists of a series of rock outcroppings with wonderful views back down the valley and tall cliffs of granite that the trail weaves through and under. 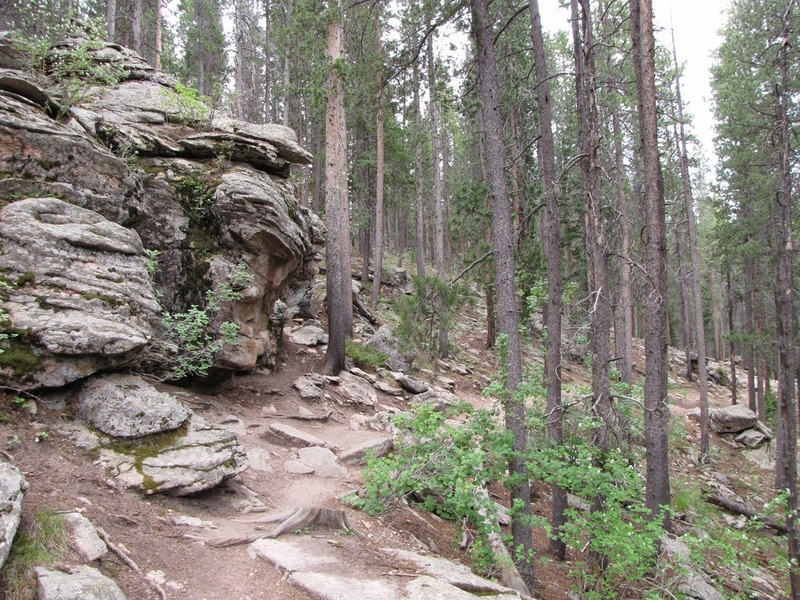 Most likely, you'll lose the trail a bit here, but don't fret you will surely pick it up again as the cliffs area enters a small pine and aspen forest before heading down towards the falls. 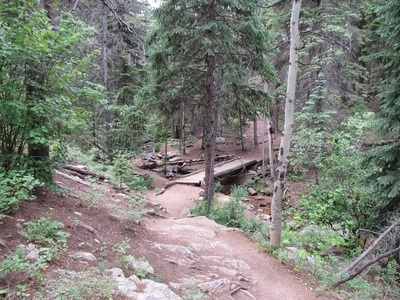 You'll reach the falls overlook shortly before rejoining the falls trail and heading down to the actual falls. Maxwell Falls is best visited in the spring when there is actually water in the waterfall. 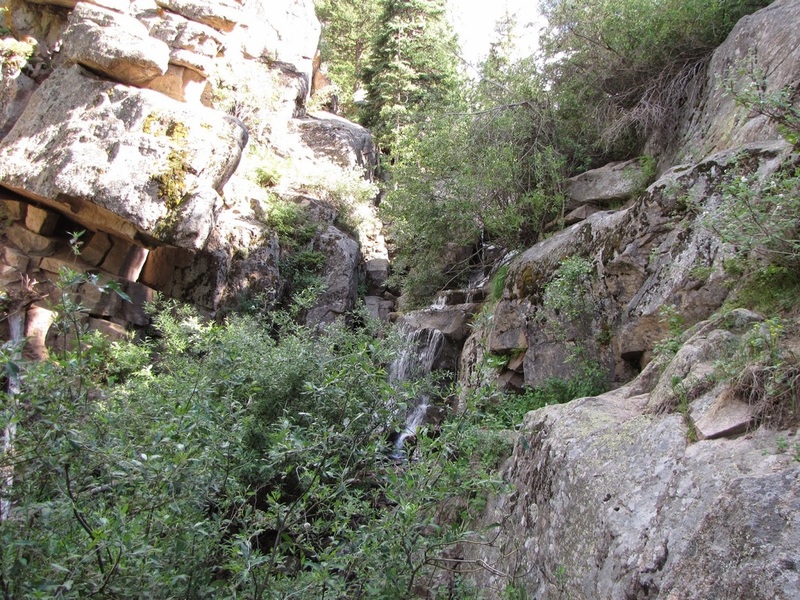 Other times of year, the falls is a trickle and difficult to see from the trail. 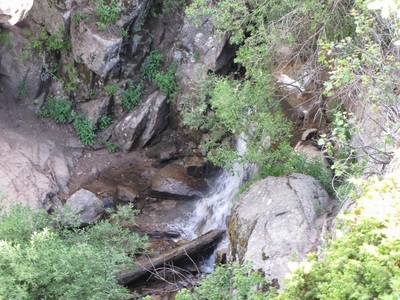 You can bushwack a bit once you reach the creek up to the falls for an up-close view but don't expect Niagara here, this is a small waterfall. 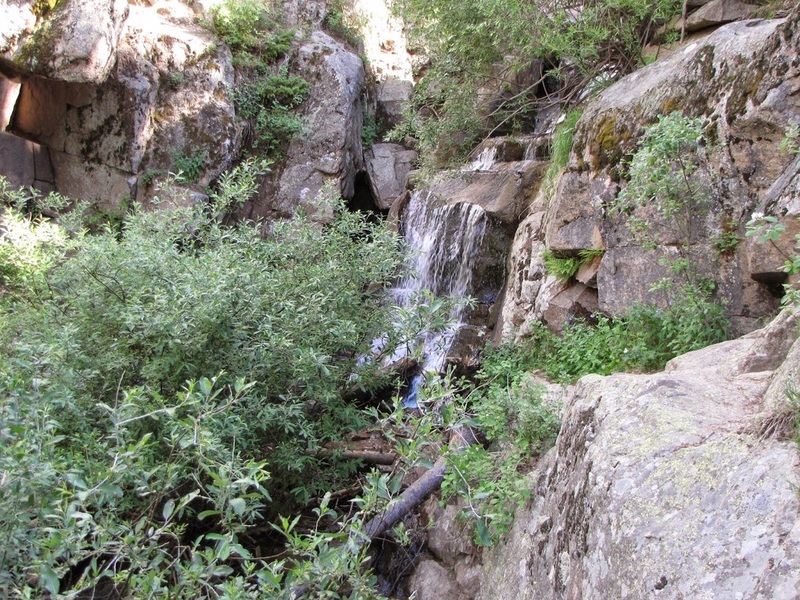 After exploring the falls, follow the trail down along the creek side back to the bridge and creek crossing. 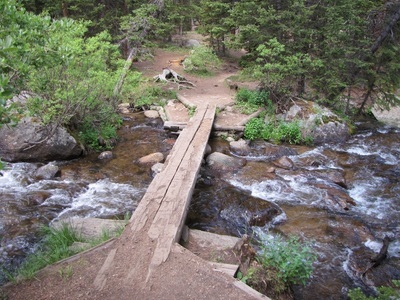 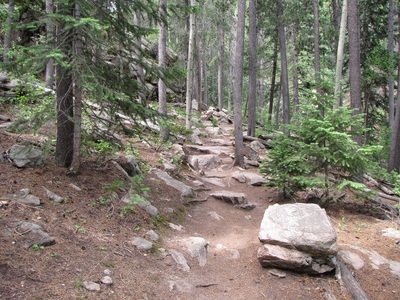 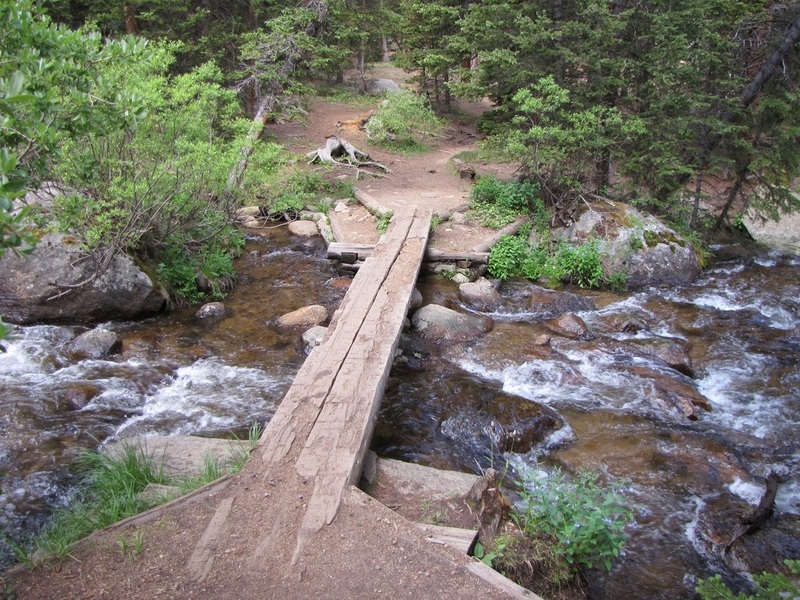 Cross the bridge and follow the trail up and back down to the Lower Falls TH.